With nice weather and long walks in the park or playing with your pet in the back yard you may just be bringing home something unexpected this spring…….ticks. Ticks are more than an annoyance as they also present a serious health risk to YOU and YOUR PET. Tick borne diseases can be difficult to diagnose and treat. Prevention and quick removal is the best treatment. Toronto had over 100 positive Lyme disease cases in 2011. Royal York Animal Hospital has had four positive dogs in the past few weeks. Ticks attach themselves to your pet’s head, ears, neck and feet but can be found on any part of the body. The best way to find ticks is to run your hands over your pet’s body. 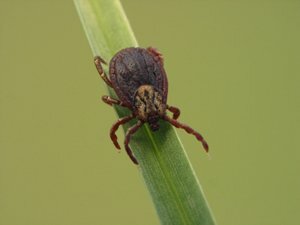 Do not squeeze the tick as it may inject disease causing organisms such as bacteria, viruses, protozoa or other agents into the animal during the process. Risk transmission to you is low but you should wear gloves. Do not be tempted to use methods you may have heard to remove the tick(s) such as applying alcohol, petroleum jelly or the tip of a hot match. They do NOT work. The best thing to do is to bring your pet to the hospital and have the ticks removed by your veterinarian and to discuss tick prevention. Tick prevention by topical treatments are available by prescription. There are also several Tick collars that are good. 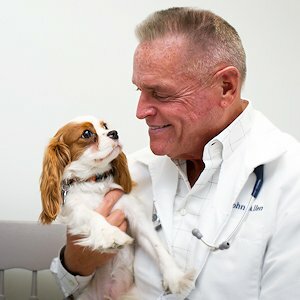 Royal York Animal Hospital is recommending an add on Lyme disease test that can be done with your dog’s Heartworm test this spring to test for previous exposure as we are seeing many more ticks in the Toronto and Etobicoke area. The best approach is to prevent ticks from “embedding” (attaching). 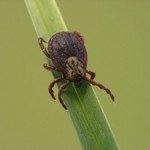 Once a tick is embedded it is important to remove them quickly and to test for Lyme disease and make sure your pet is properly treated.